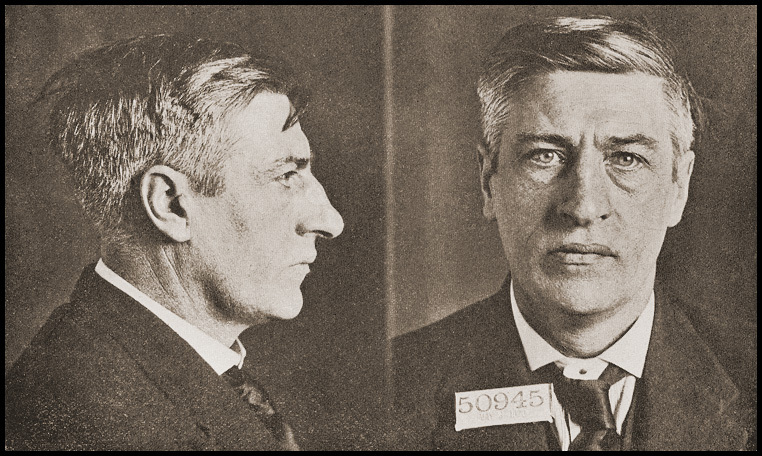 James Larkin Larkin's speeches in support of the Soviet Union, his association with founding members of the American Communist Party, and his radical publications made him a target of the "First Red Scare" that was sweeping the US; he was jailed in 1920 for 'criminal anarchy' and was sentenced to five to ten years in Sing Sing prison. In 1923, he was pardoned and later deported by Al Smith, Governor of New York. The longest running warden was Lewis Lawes. He wrote seven books and co-wrote a Broadway play about Sing Sing while warden. He had a radio show and magazine columns. The job made him famous around the world. He left after an escape in 1941, during which a prison guard and a village policeman were killed. Lawes youngest daughter Cherie would ride her pony around the prison grounds. For big games, she painted zebra stripes on it and rode it out onto the field. His wife died mysteriously in 1938 when she fell off the Bear mountain Bridge. ​The magician Harry Houdini (seen here in a promotional image for his film “The Grim Game”) gave a three-hour magic act at Sing Sing in 1916. Lasky Corporation. 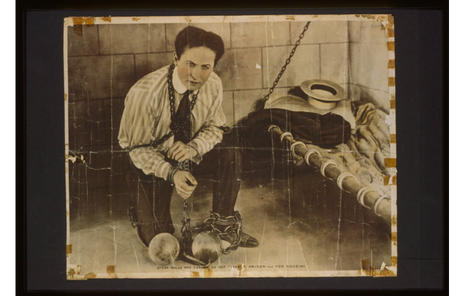 “Stone walls and chains do not make a prison – for Houdini”, c. 1898. Accessed via the Library of Congress. 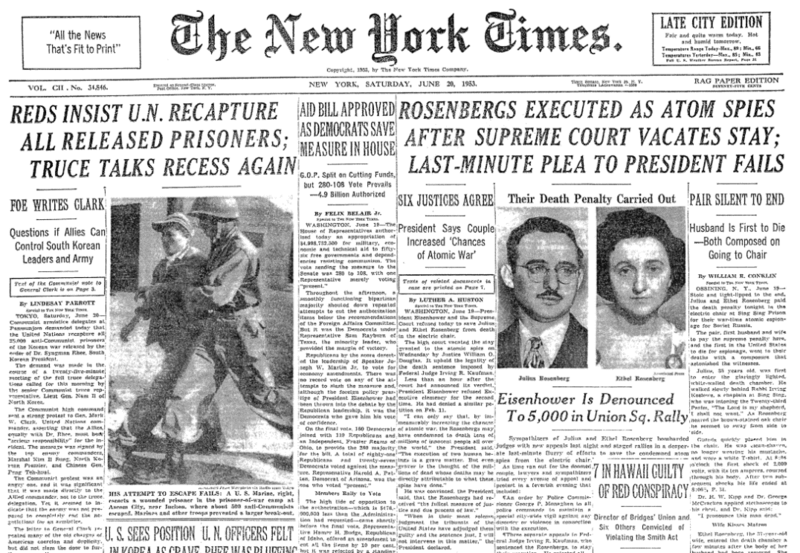 ​Julius and Ethel Rosenberg were Americans convicted of conspiracy to commit espionage by giving the Soviet Union information on the atomic bomb. They were executed in the electric chair at Sing Sing on June 19, 1953. The case drew international attention in the wake of World War II. ​Front page of The New York Times, June 20, 1953. Charles Chapin was editor of the World, a NYC paper and was a powerful man. 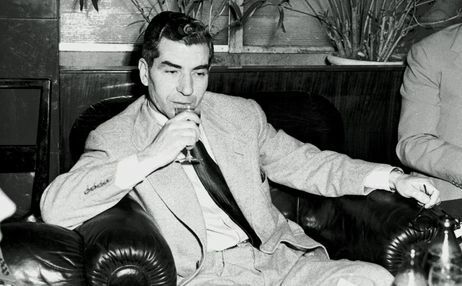 He lived the highlife anticipating a large inheritance from a relative. When the relative passed, he received nothing and was despondent due to financial ruin. He schemed a murder suicide to kill his wife and then himself. He murdered his wife and was unable to follow through with the second part. He eventually turned himself in and was sentenced to Sing Sing. At Sing Sing he elevated the prison newspaper to become a popular local paper. The paper was cut due to budget cuts. He then asked if his job at Sing Sing could be to take care of the grounds that were a barren dust bowl. He started with grass seeds and eventually transformed the grounds of Sing Sing through landscaping. Inmates learned how to plant grass, flowers and trees. Chapin's accomplishment, which included an aviary, appeared in newspapers across the country.